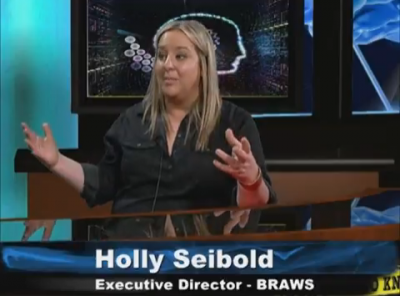 Holly Seibold - BRAWS: Bringing Resources to Aid Women's Shelters - Read. Think. Act. (July 2 2017) Catherine Read talks with Holly Seibold, founder of the non-profit BRAWS – Bringing Resources to Aid Women’s Shelters. The mission of this three year old organization is to bring dignity and empowerment to women and girls by providing feminine hygiene products to those who cannot afford them or don’t have access to them. Many of these women are victims of domestic violence, incarcerated, or in programs where they are receiving benefits like WIC and SNAP that don’t cover these products. Additionally, BRAWS provides new bras and underwear (tags on) to women who are in shelters and other programs where access to these essential items are limited. They have ongoing partnerships with other local organizations like the Vienna Women’s Club whose members faithfully count, sort and organize the inventory on a monthly basis. These feminine hygiene products and undergarments are then distributed to women in collaboration with area organizations such as Shelter House, Friends of Guest House, Northern Virginia Family Service, Britepaths, Homestretch, Bethany House, New Hope Housing and others. Holly Seibold, Executive Director and Founder of BRAWS, was recently named Emerging Influential of the Year by the Northern Virginia Chamber of Commerce at their annual Corporate Citizenship Awards Luncheon on June 14, 2017. BRAWS was also the recipient of the Shelter House Changing Lives Award at a Volunteer Appreciation Reception held on June 28th. Their collection efforts are ongoing and they look for opportunities to collaborate with other organizations and events to collect these items. They continually update their events on the BRAWS website for fundraising, donation drives and also distribution events. At the recent Women’s Summit in Leesburg, VA, BRAWS had a table and a collection box that allowed the 300+ women attending to donate as part of that conference. They also hosted a Fun Run in June that was sponsored by many local organizations. One of their biggest annual fundraisers is Mardi Bras held in February. It continues to grow each year as more people discover the work that BRAWS is doing in the community. Issue advocacy is also a main focus of BRAWS as they work to change the fact that feminine hygiene products are taxed in Virginia and DC, despite being non-optional items women are forced to purchase at a substantial monthly expense for over 4 decades of their lives. That is a lot of sales tax on top of the actual cost of the products themselves. Holly Seibold has testified in front of numerous committees to make the case for why the sales tax should be eliminated and public facilities such as prisons and schools should provide these products to those who cannot afford them or don’t have access to them. Advocacy is an important part of BRAWS core mission. 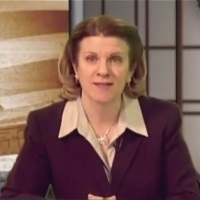 In 2017 Delegate Jennifer Boysko introduced the Dignity Act at Holly’s urging. This bill would remove the tax on feminine hygiene products in Virginia. It was killed in committee and never reached the floor of the House or Senate for a vote. Delegate Boysko will again submit that bill in the 2018 General Assembly Session.